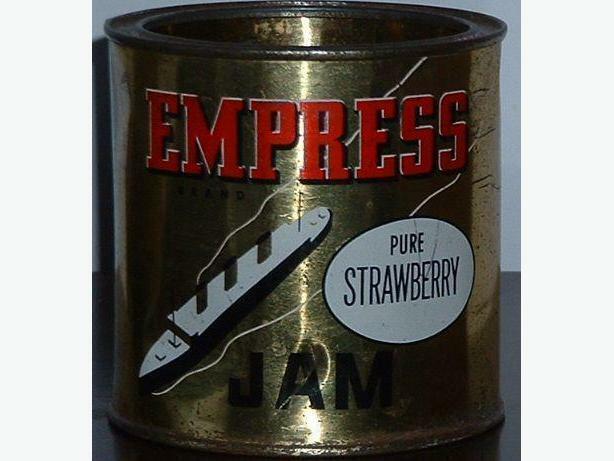 Empress Strawberry Jam can; 1950's/1960's design of gold with ship on front. Design is painted on the tin itself. No lid, paint loss throughout & five small dents. Pick up or mail out only, buyer pays shipping. Cash preferred.